BRYAN EATON/Staff Photo. 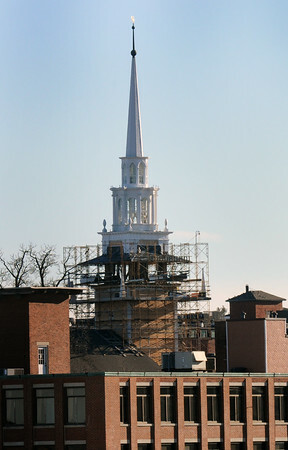 The structual repairs to the steeple of First Religious Society Unitarian Universalist in Newburyport has been completed. Cosmetic work, including the painting of new clapboards, remain to be completed.